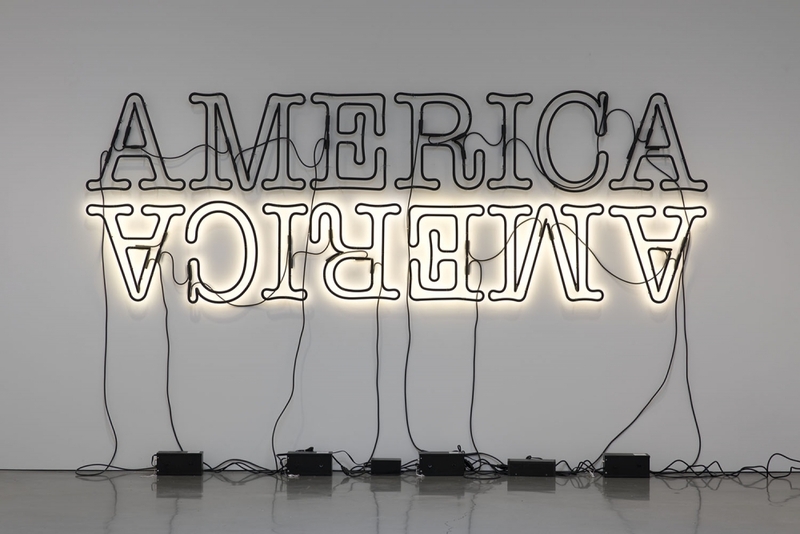 Glenn Ligon, Double America II, 2014, neon and paint. Glenn Ligon: Selections from the Marciano Collection will be on view February 12 – May 5, 2019 at the Marciano Art Foundation in Los Angeles, CA. The exhibition will feature some of Ligon's text-based works from his Figure and Stranger series alongside his Double America II neon installation. For more information, please visit the Marciano Art Foundation's website.